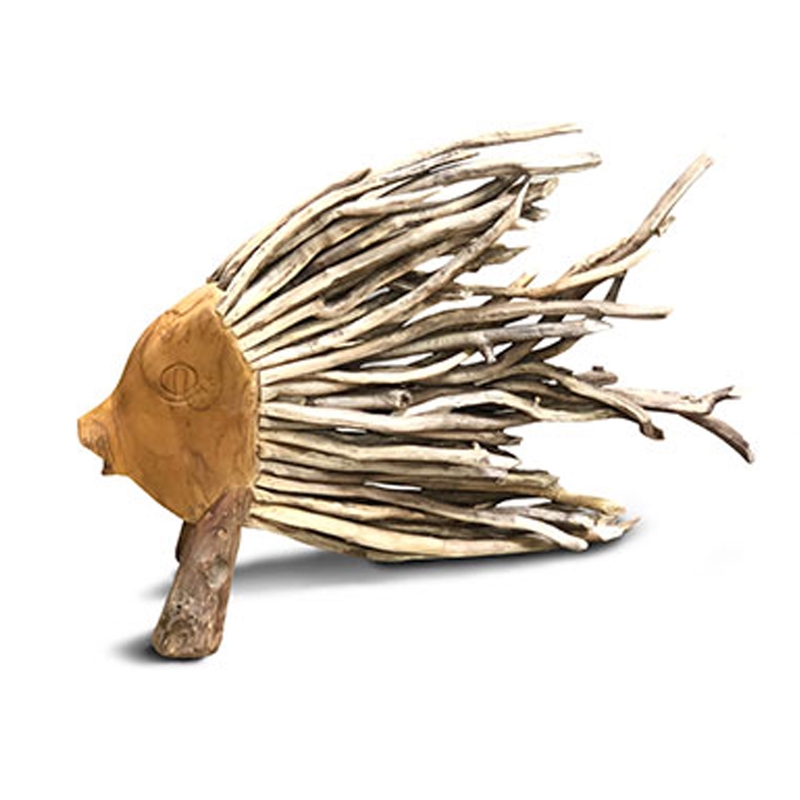 We are very proud to introduce this magnificent Driftwood Standing Fish Wood Carving. This modern sculpture features a very unique fish design. This piece is created from a stunning driftwood material which enhances the very abstract and contemporary style of this piece.